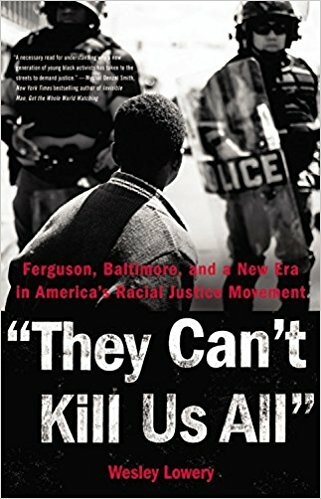 Excerpt from Google description: "A deeply reported book that brings alive the quest for justice in the deaths of Michael Brown, Tamir Rice, and Freddie Gray, offering both unparalleled insight into the reality of police violence in America and an intimate, moving portrait of those working to end it Conducting hundreds of interviews during the course of over one year reporting on the ground, Washington Post writer Wesley Lowery traveled from Ferguson, Missouri, to Cleveland, Ohio; Charleston, South Carolina; and Baltimore, Maryland; and then back to Ferguson to uncover life inside the most heavily policed, if otherwise neglected, corners of America today." Reason for selection: When I heard the author of this book talks to the families of some victims that died due to police violence, I was in. It's important that we continue to discuss the many lives that have been effected by heavily, biased policing and police violence. Wesley Lowery takes the time to examine the many years of "segregated neighborhoods with failing schools, crumbling infrastructure and too few jobs." This book just felt like a must read.